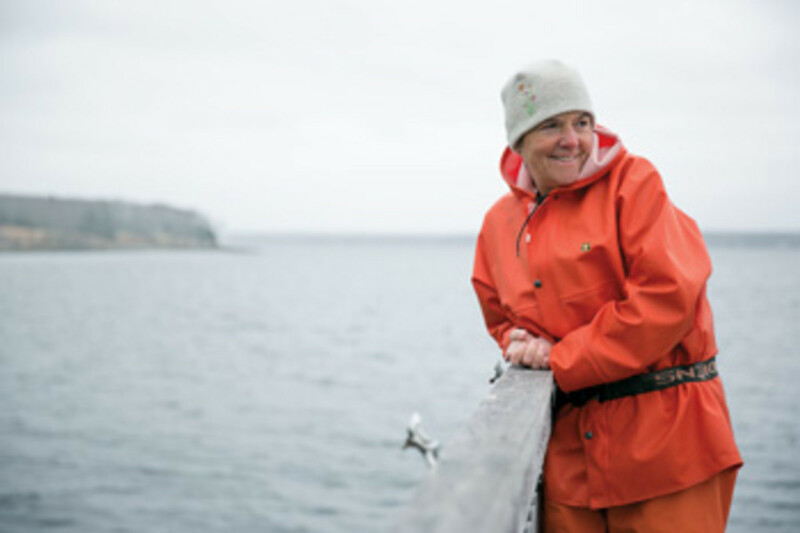 Linda Greenlaw’s first experience with commercial fishing was during her undergraduate years at Colby College in Maine, where she majored in English and government. She needed tuition money, so she got a job as a cook and deckhand aboard the swordfishing boat Walter Leeman. She liked it and was good at it, and after school she decided to stick with it. Greenlaw went on to become the first female captain of a swordfishing boat on the East Coast — and one of the industry’s best. But that English degree wasn’t going to go to waste. 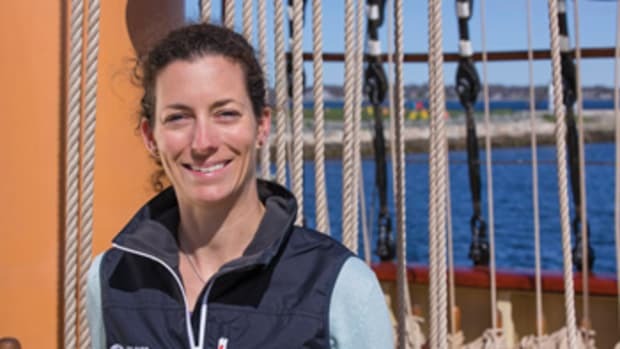 Her appearance in Sebastian Junger’s book The Perfect Storm, which recounted the loss of the swordfishing boat Andrea Gail in a deadly storm, first brought her into the public eye. Publishers, ever on the prowl for a unique story, approached her to write a book about her experiences. Greenlaw’s first, The Hungry Ocean (1999), spent three months on the New York Times bestseller list. It was followed by The Lobster Chronicles (2002) and All Fishermen Are Liars (2004). Greenlaw has co-written two cookbooks, Recipes From A Very Small Island (2005) and The Maine Summers Cookbook (2011), with her mother, Martha Greenlaw, and written two mysteries, Slipknot (2007) and Fisherman’s Bend (2008) while lobstering from Isle au Haut, Maine. 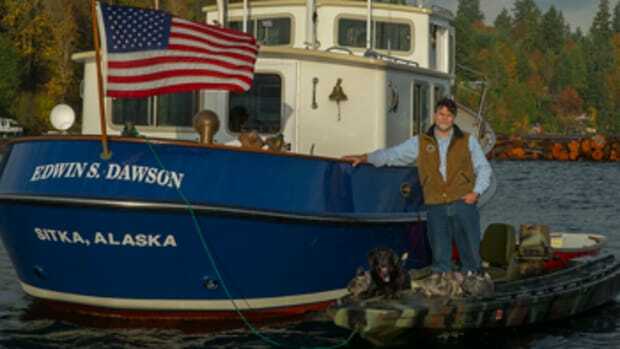 In 2009 Greenlaw joined Swords, Discovery Channel’s reality show about commercial swordfishing. She also published Seaworthy (2010), Lifesaving Lessons (2013), and a third installment in her mystery series, Shiver Hitch, is coming in late spring or early summer of 2017. 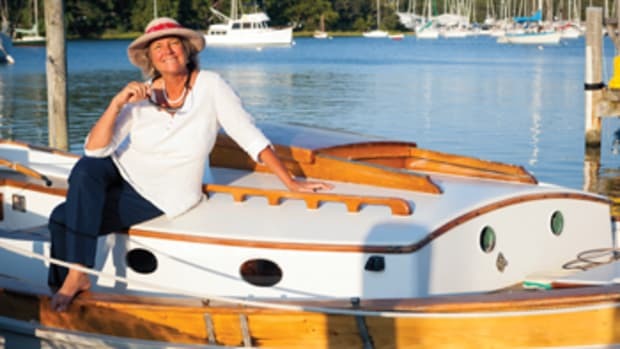 Despite her busy publishing schedule, Greenlaw admits she thinks of herself as a fisherman first — her passion for life on the sea and the command she demonstrates as a captain constantly inform her writing and have made her a favorite author for anyone who loves the ocean. First memory of being on a boat: When I was about 5 or 6 years old I loved sitting beside my dad up in the flybridge of our 42-foot sportfish looking for navigational buoys in the fog. Dad was a great dead-reckoning navigator and rarely missed a mark with compass and wristwatch. First boat you skippered: Gloria Dawn, a 68-foot Desco Marine rigged for hook fishing. 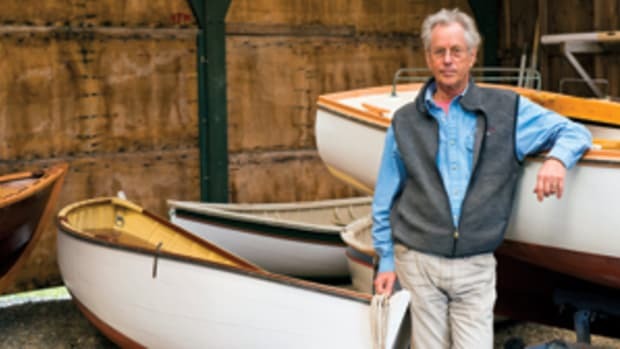 I ran her back and forth to the Grand Banks of Newfoundland year-round — summer and fall long-lining for swordfish, and winter and spring auto-lining for halibut, hake, cod, etc. 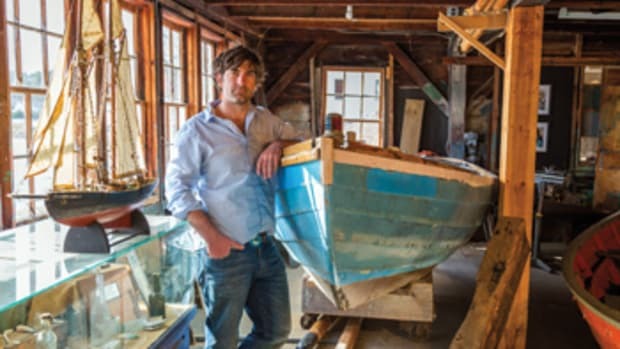 Current boat: Earnest is a 41-foot Lowell design, wooden lobster boat. I fish Earnest inshore May through Jan. 1 for lobster and halibut. 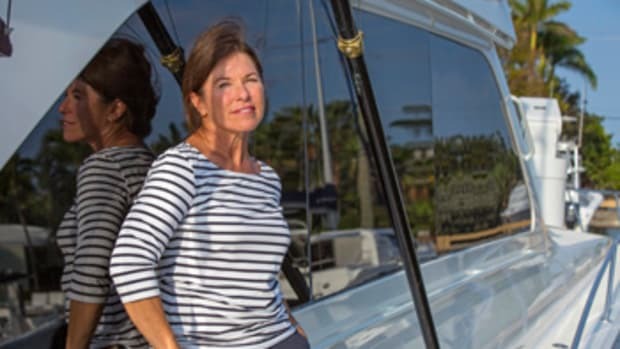 Favorite boat you’ve owned or skippered: That’s a toss-up between Hannah Boden, a 100-foot “lobster liner” — fished offshore lobster winters and sword and tuna the remainder of the year — and Hazel Browne, a 46-foot Wesmac. 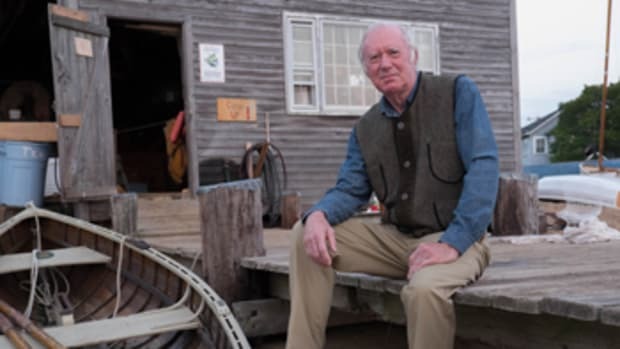 I skippered Hazel Browne for two seasons, fishing the Gulf of Maine and Georges Bank for giant bluefin tuna. Coming from many years aboard much larger vessels, I was amazed with her seakeeping abilities and performance in all conditions. And she is a fishy boat! Most rewarding professional experience: The most gratifying experience of my lifelong pursuit of fish is seeing how commercial fishermen have risen to the challenge of taking responsibility and accepting accountability for the health and future of our oceans and fisheries. We have all sacrificed, and many have folded under restrictions and regulations. But those who have persevered are now enjoying strong and rebounding stocks. Your most memorable experience aboard: Another toss-up: a 115-swordfish day aboard the Hannah Boden, or my first two-fish — bluefin tuna — day aboard the Hazel Browne. Longest time you’ve spent aboard: 47-day halibut disaster of 1992. I furthered my reputation for kicking a dead horse. But that’s the thing about fishing. It’s the sheer optimism of it that keeps us going. Favorite destination so far: 45° N and 45° W (Grand Banks, off Newfoundland). Favorite nautical book: Two Years Before The Mast by Richard Henry Dana. Favorite nautical cause you support and why: The Gulf of Maine Research Institute (gmri.org) is my favorite and currently my sole nautical cause. GMRI is all about education, stewardship, coastal communities, tradition, heritage and opportunity. They get it. Favorite quote about the sea: “I don’t care how big your vessel is, at the hands of Mother Nature, they all get small.” — L.G. 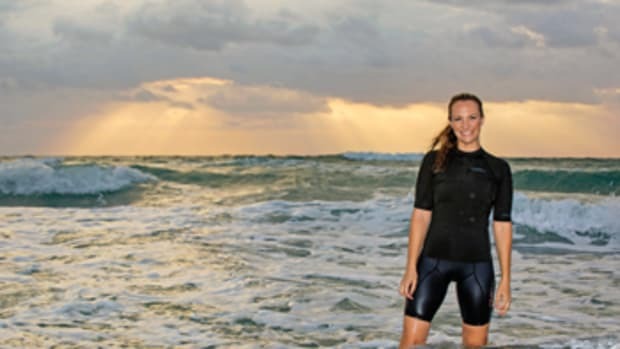 Jess Wurzbacher holds a master’s degree in tropical coastal management from Newcastle University (U.K.) and a 200-ton Master license.